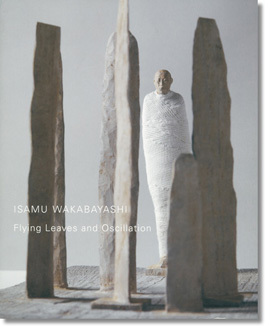 Subsidized English translations of essays for the catologue of "ISAMU WAKABAYASHI: Flying Leaves and Oscillation"
Isamu Wakabayashi (1936-2003) closed his fairly short life in October 2003 lamented by everyone. The title of this exhibition, “Flying Leaves and Oscillation” is a phrase he put to the late sculpture work of Wakabayashi, who kept working until right before his death. Wakabayashi started his activity as sculptor after he graduated from sculpture course of department of Fine Arts at Tokyo University of Fine Arts and he also taught at Musashino Art University and Tama Art University at the same time. Within Japan, his works were exhibited in several museums such as Tokyo National Museum of Modern Art, Kyoto National Museum of Modern Art, and The Museum of Modern Art, Hayama. On the other hand, his works were internationally exhibited in 1980, at the 39th Venice Biennale, in 1986, 42nd Venice Biennale, and became unforgettable artist when looking back the Japan’s Postwar Art. 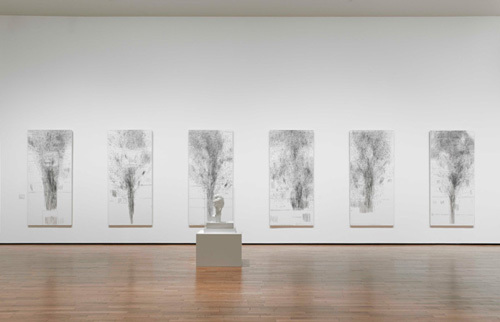 Wakabayashi’s “Flying Leaves and Oscillation” was exhibited as long term travelling exhibition travelling 5 museums from 2015 to 2016. 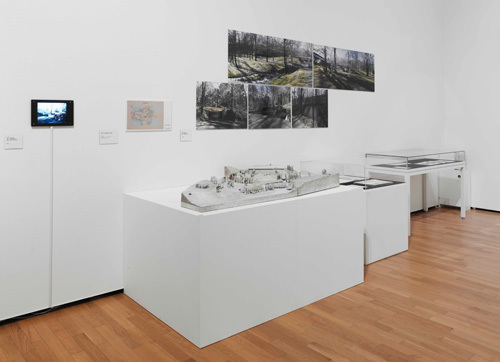 Unlike a past retrospective show, this exhibition focused on garden as an external space such as the followings -The Garden of the Museum of Modern Art, Seibu Takanawa, Karuizawa (1982-85), The Garden of Shinji Shumeikai, Misono (Private Garden)(1986-96), The Green Constellation of the Unicorn (1995-2000), Gracefull Woods Surrounded by Four Iron Cubes (2000). Few but valuable works and materials were collected and exhibited based on the research and studies of curators of 5 museums. There are many mysterious or enigmatic aspects in the works of Wakabayashi though we were able to glimpse his sincere manner towards the nature, his own points of view and explanation in this exhibition. JCRI has supported the English translation of the study published in this exhibition catalogue in order that more people will recognize Isamu Wakabayashi. Up to now, there are hardly any publications and studies on Wakabayashi written in English and dispatched abroad and thus we believe this will be one of the valuable materials.